By Aaron Sullivan. As people who know me know, Death Metal is one of the genres I just can never really get into with the exception of a few bands and albums here and there. But, add some DOOM and you’ll get my attention. Hands of Thieves album Feasting on Dark Intentions does just that and it got my attention. As people who know me know, Death Metal is one of the genres I just can never really get into with the exception of a few bands and albums here and there. But, add some DOOM and you’ll get my attention. Hands of Thieves' album Feasting on Dark Intentions does just that and it got my attention. Chunky riffage and a grittiness are big part of their sound. Vocals are mix of gurgling screeches and deep growls. The atmosphere is dark and primitive sounding, and there is a huge low end to their riffage. At times elements of Black Metal creep in as well. With only four songs they do so much and show a ton of promise. Originally released by Transylvanian Tapes on cassette Feasting on Dark Intentions is now being released by Baneful Genesis on limited vinyl, so make sure and get you one! The great thing about year end lists is finding the stuff you missed especially in genres you're not that familiar with. Deathrock is for sure of those genres. Thanks to Cvlt Nation's top ten list I found out about one such band right in my backyard. 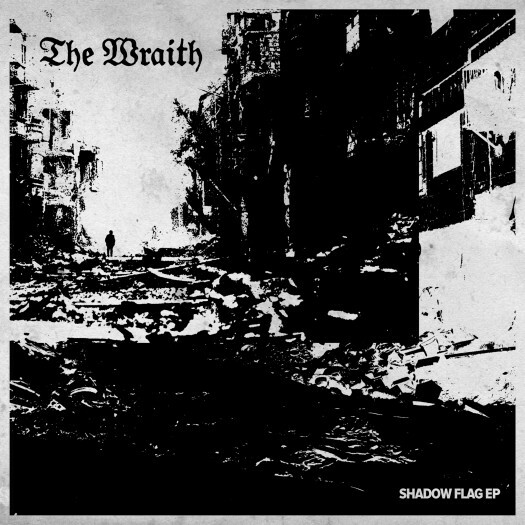 Los Angeles's own The Wraith and there EP Shadow Flag. With the opening of "Comatic Romance" I was hooked. The driving bass line. The hoarse pucky vocals and gothy guitar sound. Reminded me of "The Hunt" from New Model Army (a song made famous to most metal fans by Sepultura). The rest of the EP follows along those same lines. Fans of Killing Joke and Samhain would dig this. 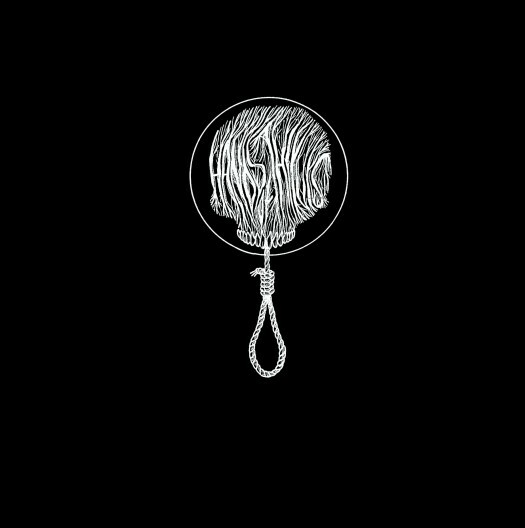 While Shadow Flag may borrow heavily from that 80’s deathrock sound it still feels very fresh. Hope to catch these guys live soon. 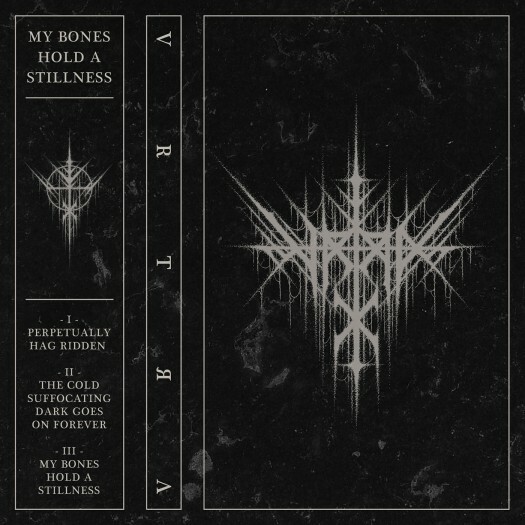 From Sacramento California comes Vrtra and their album My Bones Hold a Stillness. 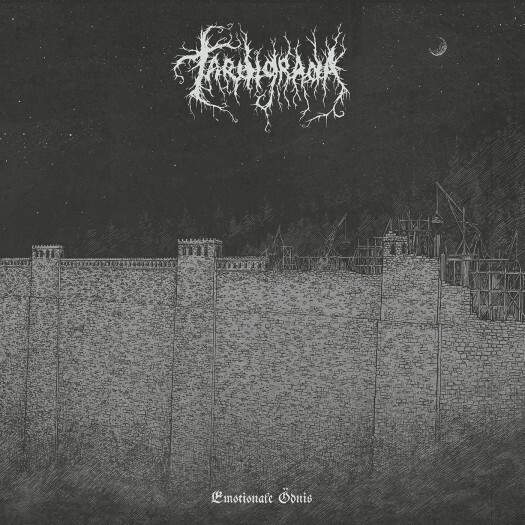 An album that is based in Black Metal with hints of DOOM, Death, and Post-Black Metal to spice things up. All done with such fluidity the transitions are seamless. The sound is huge! Guitars and Drums right in your face with vocals mixed in the middle. There is an epicness to the three tracks. The songs have weight. Vocals feel as though they are devouring everything in their way. They can shift from these beautiful middle sections to pummeling blast beats of destruction to drive the song home. You ever hear an album and while you’re not sure what the hell is going on, you also know you can’t stop listening to it? 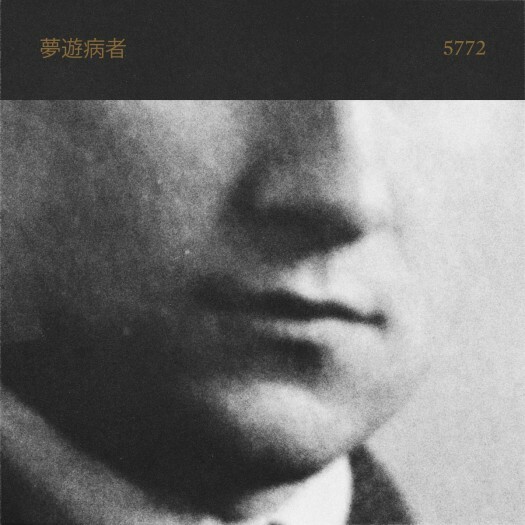 That’s was the case with 夢遊病者’s album 5772. According to google translate 夢遊病者 is Japanese for Sleepwalker. Aptly titled as their music can feel like a mix of beautiful fantasies and a fever dream. What is their genre you say? Might be easier to tell you what genre they don’t play. Experimental would be the easiest and bit of an understatement. There are elements of Black Metal, Krautrock, Shoegaze, and Ambient all mixed perfectly. Done in a way that captivates the listener because you're never quite sure where they may go next. Vocals are ghost like. Breathy and low in the mix almost whispered. This is an album done by people that have thrown out the rules and forged their own path. Just a great listen. Even it you don’t find it to be something you want to hear again, I doubt you'll be mad if you hear 5772 at least once. And I’m certain you won’t hear much else like it. There are those labels that when they announce the release of an album, just based on their track record you know you are going to check it out - and most likely give them your money. Fallen Empire has been a label like that for me for some time, and when they announced the release of Tardigrada’s latest album of Atmospheric Black Metal, Emotionale Ödnis, I was interested. The album setup is 5 songs with a short instrumental intro before each of them. 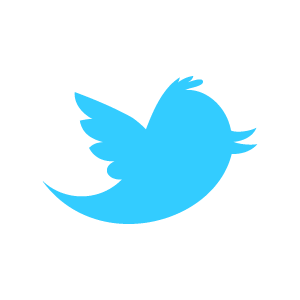 It’s a formula that works. The intros are soft and light, before the songs kick in with their epic feel and melancholic atmospheres. Vocals are high pitched wails like those found in DSBM. But despite the sadness of the music there is a still a bit of light in each song. Like moonlight shining through dark clouds. Things never get too flashy or technical and Tardigrada are not doing anything unheard of before. But Emotionale Ödnis is a solid album from start to finish, as I have come to expect from Fallen Empire releases.